Still looking for a way to hydrate without being bored? When I posted my Lavender and Mint blog about a lovely, no calorie simple pleasure, my friend Monique mentioned she flavors her water with sage. 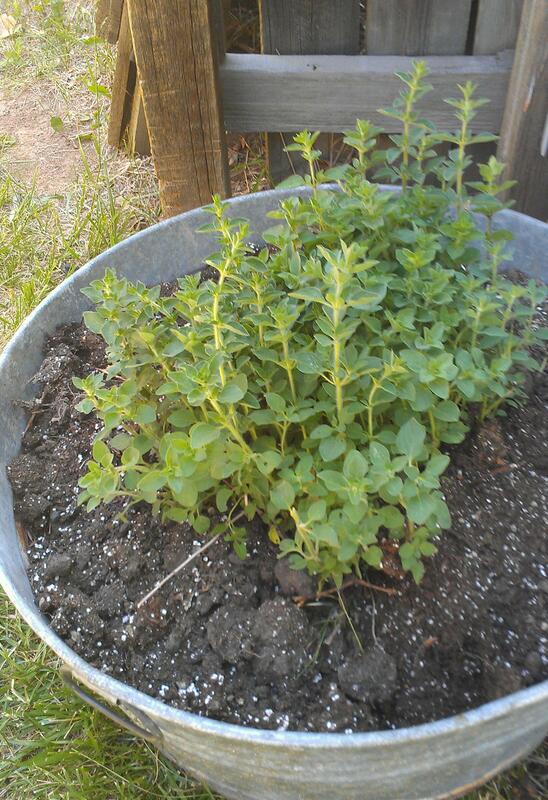 After the transplant, I picked a few springs of sage, washed them, and plopped them into a pitcher of water. The jury is still out about whether or not this new water flavor will become a staple in our home. I loved the mint and lavender water from day one. The fragrance alone made me happy. But I’m still trying to decide whether sage belongs in water or should stay relegated to homemade chicken soup and beef breakfast sausage. It could be I’m prejudiced against sage from my childhood. My grandmother was convinced it cured the common cold. Sweet little thing she was she rarely asked me to do anything unpleasant, but oh how she cajoled me to get a cup of hot sage tea down when I was sick! I’ve chosen not to foist sage tea on my children, but am not above making them chicken soup hiding an extra portion of sage when they don’t feel well. But back to the point. How do you get your water down? I also love lemon or lime squeezed into my water, as well as water flavored with cucumber slices or berries. Remember, drinking two large glasses of water first thing in the morning helps you feel more full the rest of the day! Another fact: sometimes when we feel hungry, it’s actually our thirst censor going off! Next time you’re hungry and it’s not mealtime, consider drinking a big glass of water. Are you still feel hungry in five minutes? Are you truly hungry, or is it thirst? 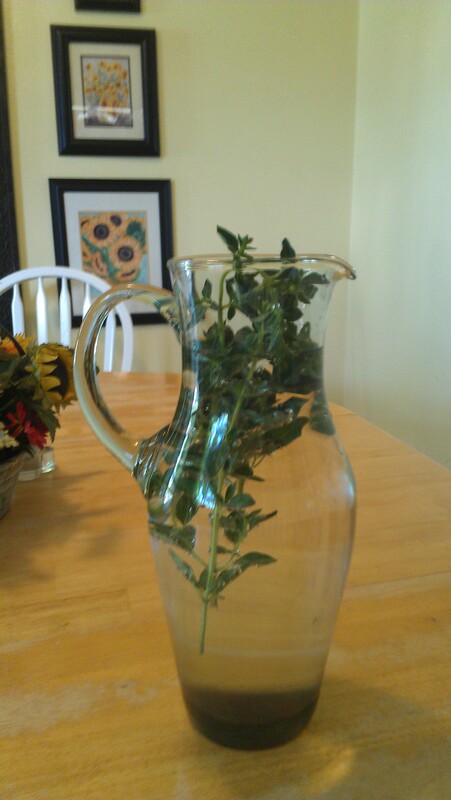 Do you use the mint directly in the water in the refrigerator, boil the mint in water, or both? For just water I put the leaves in and leave them, for mint tea I boil the water, Commando likes lots of sugar though, just like the Moroccans, it’s a wonder any of them have teeth! Paula, we now have a Kangen water filter. Water from that filter tastes amazing! I no longer have to force myself to drink to stay hydrated. Drinking water from this filter has also helped to turn my chemical reactions around so that they’re not literally threatening to choke me. We’ve had the filter for about a year now. I still have chemical reactions, but they’re much milder and of shorter duration. I hope eventually that they will diminish entirely and allow me to go back to a more active and involved life-style. I love the idea of sticking a sprig of mint in my water, though–I’m growing a bunch of mint because I love mint tea, but–I will have to do this too. 🙂 Thanks! My daughter works as a cosmetologist. She has trouble with drinking regular water because she is around so many chemicals all day that she can’t tolerate the chlorine, so I get a little of what you are talking about. I totally embrace filtering your water!! And it takes MUCH better. I’m with you! I tried something new today and drank more water than ever. Slices of grapefruit, tangerine (although I used a clementine), cucumber and some mint leaves. Let it sit in fridge overnight. Used cheesecloth over the pitcher today to strain water into my cup and happily sipped water all day long.